An aspirant to the office of the National Chairman of the PDP, Prof. Tunde Adeniran has accused the party's National Caretaker Committee of giving an unfair advantage to one of the aspirants, Uche Secondus. Former Education Minister and an aspirant to the office of the National Chairman of the Peoples Democratic Party (PDP), Professor Tunde Adeniran has threatened to pull out of the Peace accord ‎signed by the eight contenders in the race. 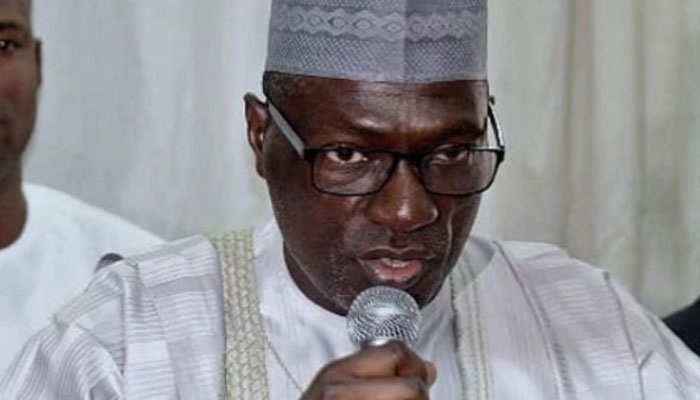 Adeniran, who dropped the hint in Abuja on Monday, said the action became necessary following alleged attempts by the Senator Ahmed Makarfi led National Caretaker Committee (NCC) to impose one of the aspirants on the party as the National Chairman. Adeniran accused the caretaker committee of giving an unfair advantage to one of the chairmanship aspirants, Uche Secondus, a one-time Acting National Chairman of the Party from the South-South. According to him, “some of Secondus' supporters were sent by the party leadership to conduct congresses to produce delegates for December 9 national convention without any consultation whatsoever with other aspirants. He then pleaded with the National Executive Committee (NEC) of the Party meeting in Abuja on this Thursday to quickly set up the National Convention Planning Committee for transparency of the Convention to avoid an unprecedented crisis in the party again.